I started pinning way before I had a blog. Here are a few things I made in my pre-blogging days. A throw back blog post. Sorry for the blurry photos. They were taken before I had a fancy thing called an iPhone. Last year my family came to stay with us for Easter weekend. I wanted to have something nice for breakfast that I didn't have to get up and make in the morning. 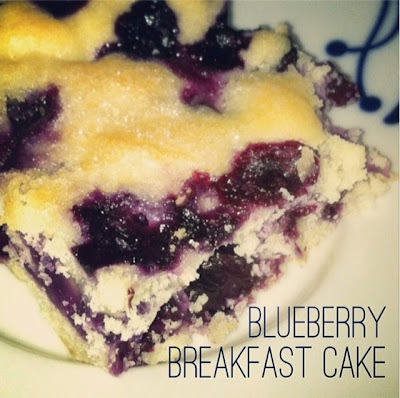 My littlest sister and I whipped up this yummy Buttermilk Blueberry Breakfast Cake. As my family woke up they grabbed a slice out of the fridge. 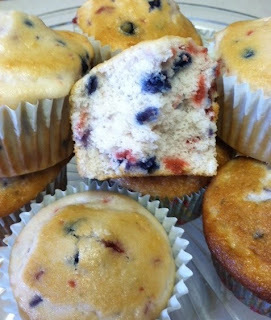 Find the easy recipe here. 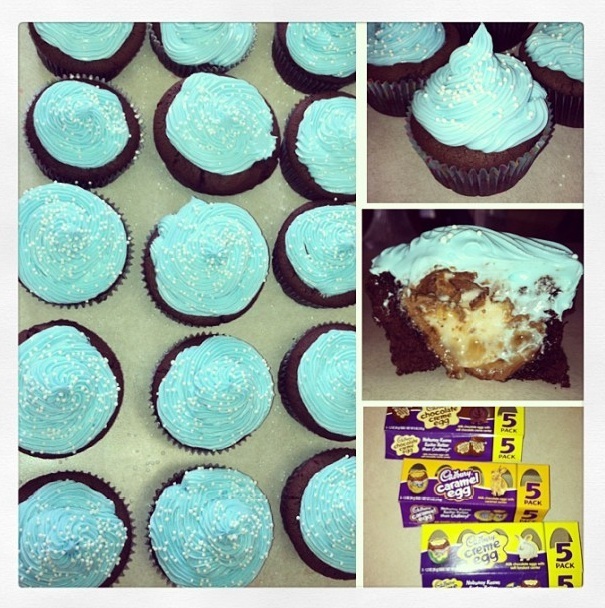 This Easter I took on a harder task, Cadbury Egg stuffed Cupcakes! I used creme, chocolate and carmel eggs and didn't label them making each cupcake a surprise. These cupcakes aren't much harder to bake than regular ones. The main difference is adding a FROZEN egg in the middle of the batter before baking. Find the full recipe here. Looking for an easy, delicious dessert? 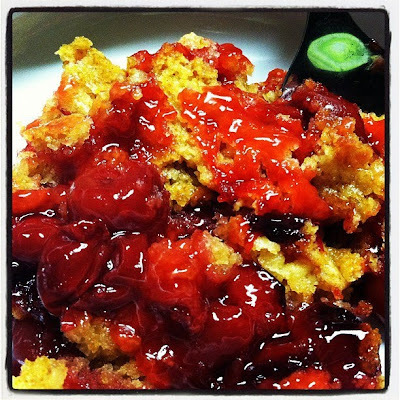 Try Crock Pot Cherry Cobbler! You mix it, heat it and leave it! Plus it smells so good while its cooking! Don't like cherry? Mix in whatever fruit tickles your fancy! Get the scoop on how to make it here. 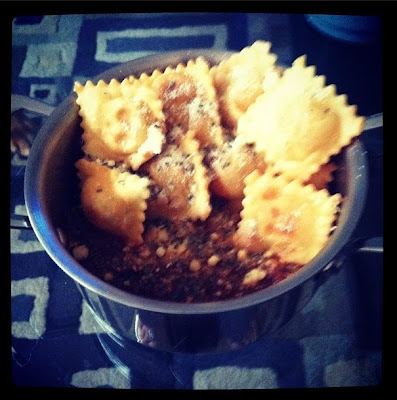 I tried out a twist on ravioli one night for dinner. You buy a rag of ravioli (the refrigerator kind), shallow fry them in about an inch of oil and BAM you have crispy ravioli. Best served with marina sauce and Parmesan Cheese. The best part is you can make them ahead of time and warm them in the oven at 275 until hot. Great for game day or a party. What a pretty meal with so many possibilities! Stuffed bell peppers are filling and easy to make. I used turkey sausage but you could use regular sausage, beef or chicken. 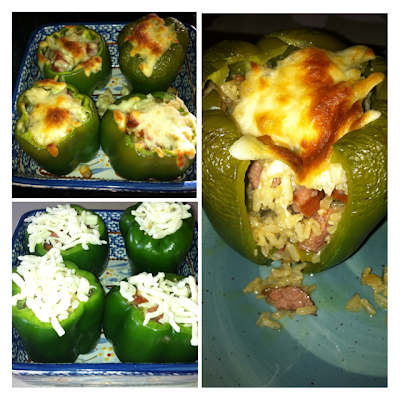 The mixture consists of rice, yellow bell pepper, cheese, onion and spices. 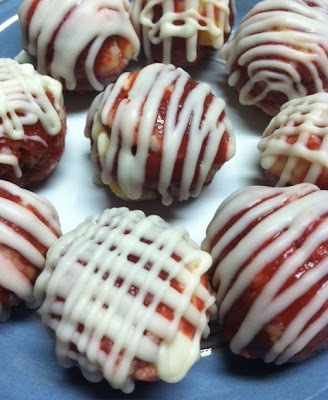 Read how to make them here. First off, has anyone heard of Bountiful Baskets? It is a co-op that provides fresh fruits and veggies for $15 twice a month. You order your basket online and pick it up on Saturday at a location near you. We tried it out for the first time last week and it is amazing! The food in our basket inspired some of our meal options this week. Look at all this goodness! Last night I didn't have anything planned for dinner and D was working late so I opened my fridge and took out a combo of items, some from our Bountiful Basket. I tossed shrimp, tomatoes, onion, banana pepper, jalapeno and bell pepper in a skillet with some olive oil, garlic and oregano. I wrapped the mixture in lettuce, topped it off with come BBQ sauce & cheese then BAM I had dinner all wrapped up! Hate having your plastic bottle of liquid soap by your sink? 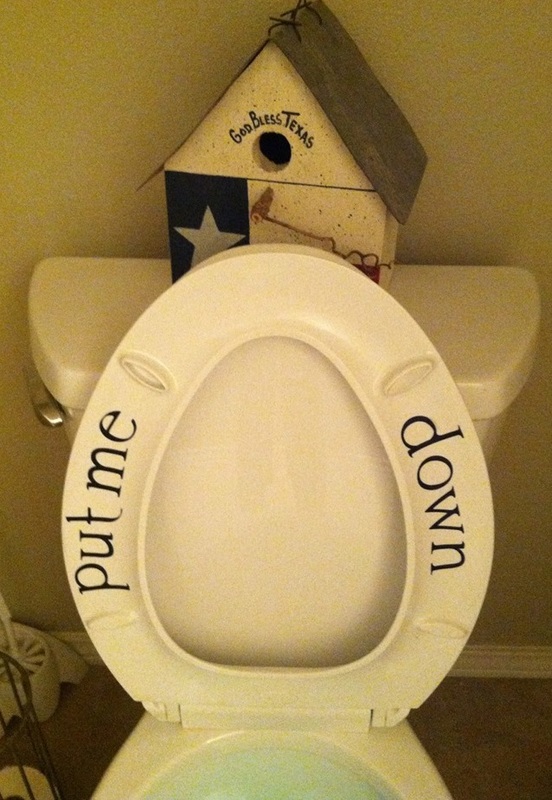 I found the perfect pin-solution! I grabbed this glass bottle from World Market and filled it with soap for a much prettier display. 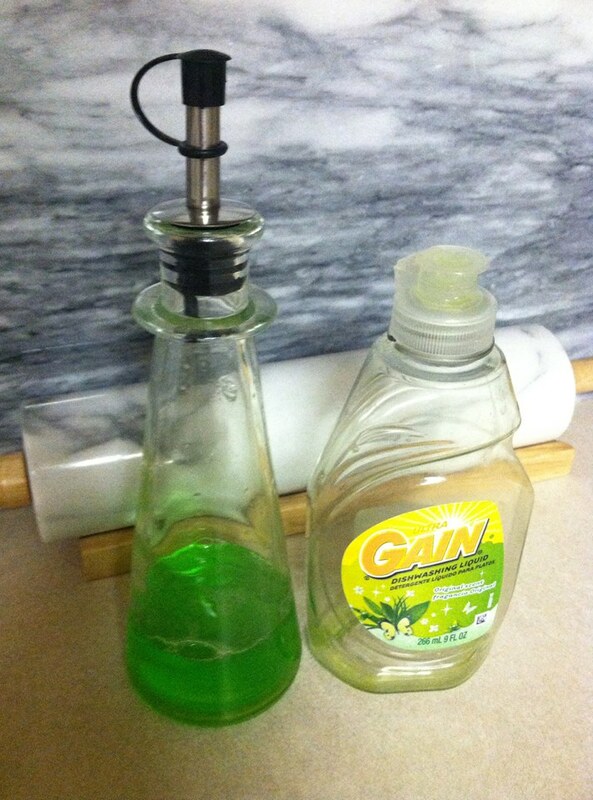 I think the bottles are originally intended for oil and vinegar but what can I say, I'm a rebel. I am not sure what I'm going to do with the other bottle yet but I'm sure I'll think of something. Mornings are not my favorite. 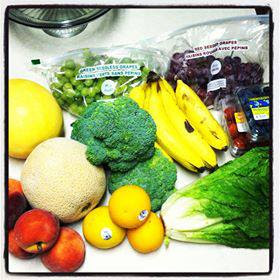 The only thing I look forward to in the morning is coffee or a homemade smoothie using fruit from my Bountiful Basket. Lately I have been really into iced coffee because it is HOT outside. I hate how adding ice to my coffee waters it down so much. 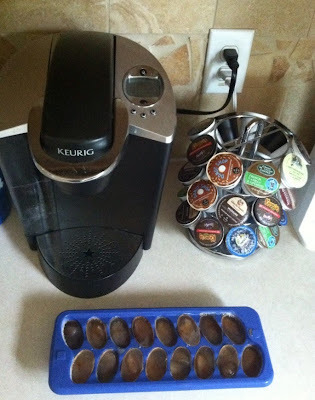 A few weeks ago I came across a pin that gave 10 uses for ice trays. Remember ice trays? Well they aren't just for ice water anymore. I poured in my coffee and overnight made coffee ice cubes! No more watered down iced coffee! I am going to try vanilla ice cubes next. I'll share how they turn out. Sometimes men have a little trouble putting down the toilet seat. I found these stickers on Pinterest and thought I would surprise D with a little reminder :) They were really easy to put on and Derek's reaction was priceless! I originally bought them as a joke but I have no plans to remove them. I bought the stickers from this Etsy Shop. 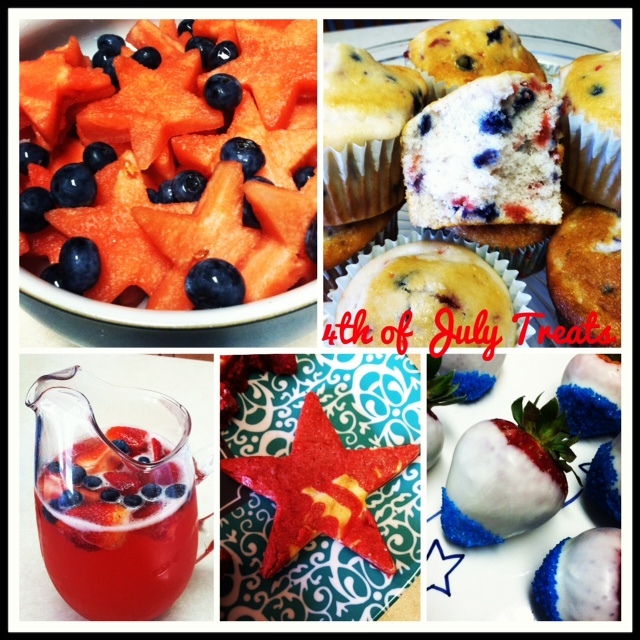 We had a fabulous 4th of July with plenty of leftovers! I personally love leftovers because they save money and I don't have to take another trip to the store. SCORE! Here are two things I made with my July 4th leftovers. One of the items on our menu was red velvet marble brownie stars. Read how I made them here. Pulling out the stars created a lot of brownie scraps so my friend suggested I save them and make cake balls! I rolled the scraps into balls and placed them on a waxed paper covered pan. I then placed the pan in the freezer to cool while I made the icing. I melted white chocolate using the same technique I used to make my white chocolate covered strawberries. I poured the chocolate in a clear bottle and squeezed it on top of the cake then placed them in the fridge to harden. After making chocolate covered strawberries and watermelon & blueberry salad I had a bit of fruit leftover. 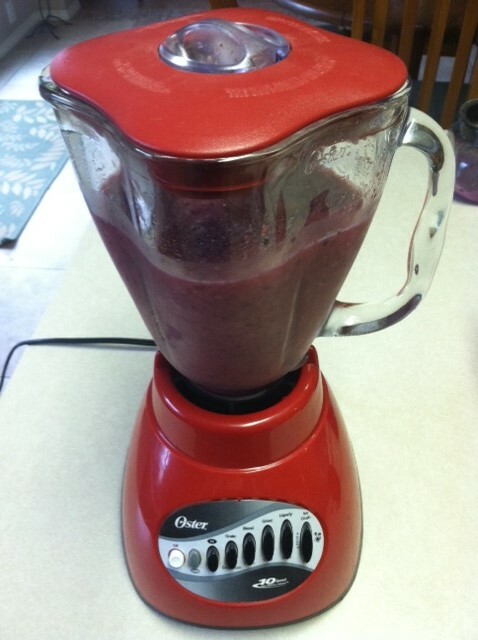 I put all the leftover fruit in a blender with a little bit of orange juice and some ice. After a few swirls of my blender I had a delicious smoothie for breakfast. YUM! 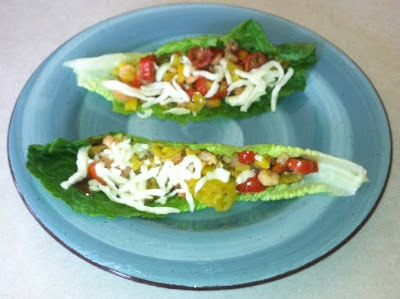 Have you ever been creative with your leftovers?? Forth of July will always have a special place in my heart. Growing up we would spend the day with my grandparents watching fireworks at the Lufkin Zoo. Now that I am an old married lady, Derek and I are creating our own traditions. 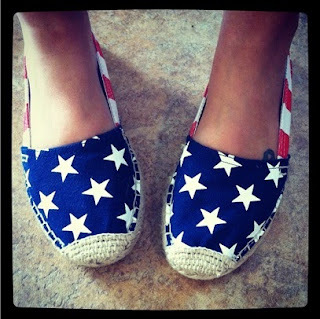 For starters how sweet are these shoes?? 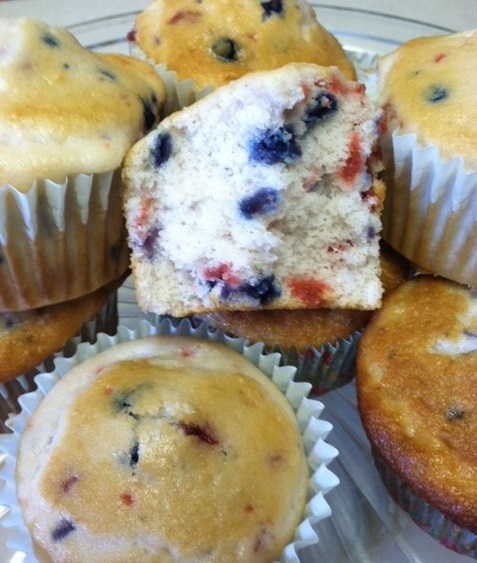 The red, white and blue festivities started at breakfast with raspberry and blueberry muffins. YUM! I used Martha White mix and just added milk. You can also use this mix to make pancakes. 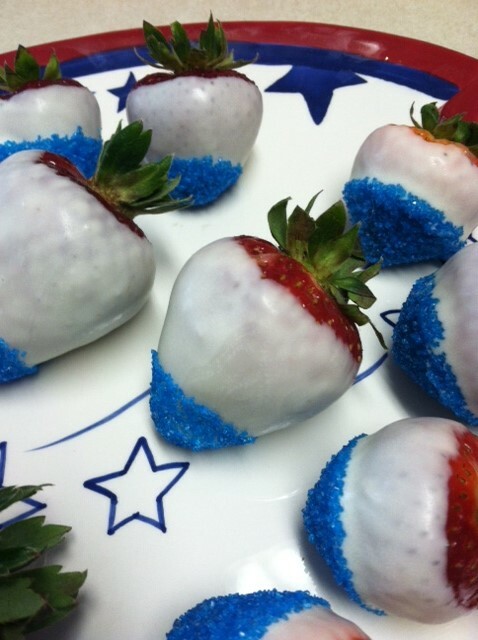 Next on the menu, star spangled fruit. 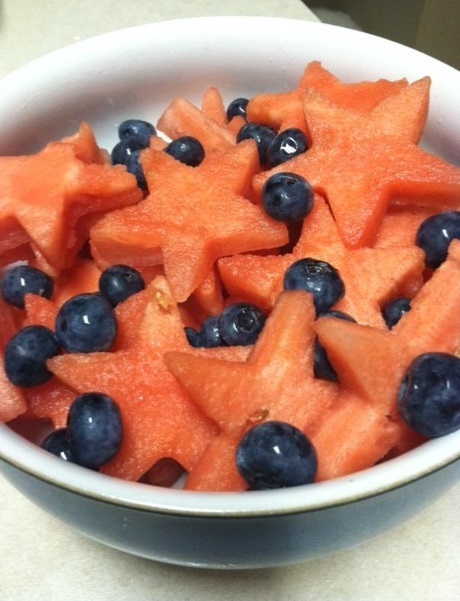 I cut a watermelon into thin round slices, punched out stars with a star cookie cutter then tossed in some fresh blueberries for a delicious summer treat! 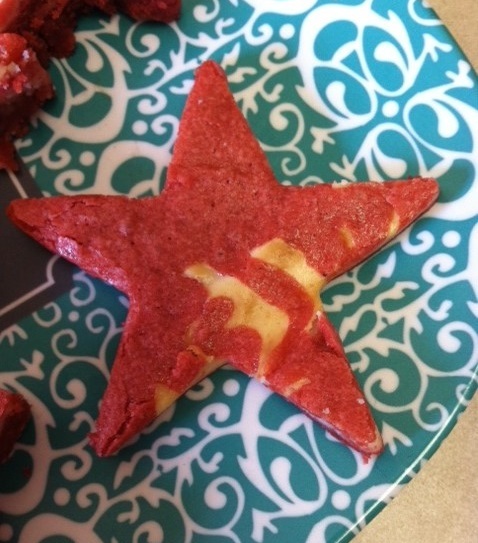 My red velvet marble brownie stars were a big hit! I found a pin that led to this blog full of awesome recipes. This blogger made hearts with her recipe but I used stars to go with our 4th of July theme. The stars were hard to get out of the pan :( maybe hearts are easier? White chocolate covered strawberries are a big hit in my house! I make them every Valentines day. Normally I drizzle milk chocolate over them but this time I tried something new I saw on Pinterest. Step 8) Cool in the fridge then enjoy! We needed something to wash down all this 4th of July goodness. I searched for 'pink punch' on Pinterest and found this Champagne Punch recipe. 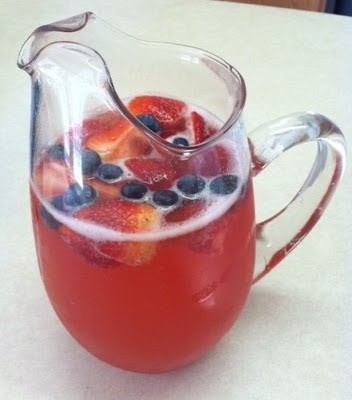 All you need is a pitcher, 2 bottles of champagne, 2 cans of Welche's Strawberry Breeze frozen juice concentrate and slices of fruit. Defrost the cans of juice before making. Open the juice cans and pour 1 into the pitcher then add both bottles of champagne. Add the second can of juice to taste. I ended up using all of the second can in our punch. Place your slices of fruit in the pitcher to top off the drink. We finished the day watching the downtown and Fiesta Texas fireworks from the top of a hill. I hope your 4th of July was filled with glittering fireworks, homemade BBQ and sunburned shoulders!